The Academic Staff Union Of Universities, ASUU, has suspended the 3 months old strike, after the meeting with the Federal Government on 7th Feb, 2019. This information was disclosed on the official twitter handle of the union. According to ASUU, academic activities will resume immediately as from tomorrow, 8th Feb, 2019 It was gathered that the union decided to suspend the 95 Days of Strike after reaching an agreement with the Federal Government. 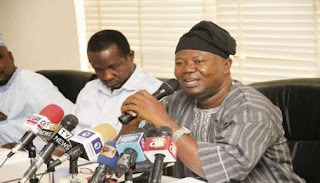 However, ASUU has warned that this is just a suspension of the strike and not an outright call-off. According to ASUU, if government goes contrary to the memorandum of agreement, the union will not hesitate to embark on another industrial action with full force.